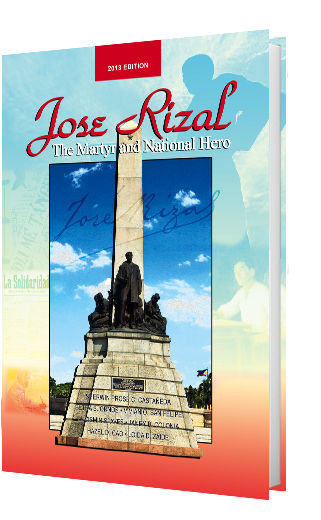 This book is primarily intended for an undergraduate study of the life, works, and writings of our Great National Hero Di Jose Rizal. It must be remembered that, under the provisions of Republic Act. No, 1425, otherwise known as the Rizal Law, students in whatever coarse they pursue are required to undergo a study of the life, works, and writings of Dr. Jose Rizal. The life and ideals of Rizal have served as inspiration not only to Filipinos but also to all freedom loving people throughout the world. We trust that this publication will broaden our understanding on the exemplary life and timeless ideals of Rizal. In the completion of this book, the authors would like to thank Atty. Christopher Lycurgus Morania and Lorraine C. Castañeda of Bantog and Andaya Law Offices. Acknowledgement are likewise extended to the authors' respective families for their help and inspiration in making this book. Categories: Our Product, Rizal. Tags: College Books, Hazel D. Cao, Janry B. Colonia, Jose Rizal, Loida D. Zaide, Luvismin S. Aves, Petra S. Ornos, Rizal, Sherwin Prose C. Castañeda, Vivian O. San Felife. Spanish, like any other foreign languages, makes the neophyte learner Shiver and tremble. Without forethought, students frantically think the enormous difficulty of learning the new language particularly its grammatical structure and strange pronunciations. Above those prejudices, Spanish is a no stranger to us. Numerous dialects in the Philippines have substantial quantum of loanwords from it. Acquiring the mastery of it is not taxing as it seems. With minimum effort and tons of patience, one can easily have the command of Spanish. This book is conceptualized to assist the learners in discerning the nuances and important details of Spanish and its degree of relation to our native tongue, cultural heritage and historical identity. It is with fervent hope that the reader may find this material useful. iAprendimos Español! Will help the student how to speak, understand, read and write in Spanish. 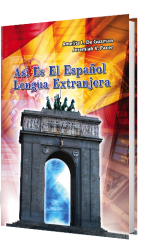 The contents of this workbook have been selected for the beginners who want to learn the Spanish language interactively in an easy and quick way. You’ll learn Spanish the way you learned any language, starting with simple words and progressing to complex phrases. To help you immerse yourself in the language, you’ll practice the conversations in Spanish with your classmates or friends who are studying the language. Practice your Spanish as much as possible inside and outside the classroom. Even if you can’t go abroad, watching Spanish movies, reading Spanish magazines, listening to Spanish songs, and talking with Spanish-speaking friends are enjoyable ways to help you develop what you have learned from iAprendamos Español! And from your Spanish class. iAprendamos Español! Provides English translations. 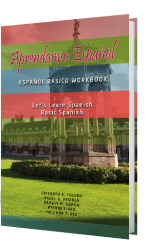 There are thirty one basic topics in this workbook, laying the foundation for learning how to make simple sentences and converse with the Spanish speakers. In every topic, there are simple exercises and activities to test your capacity of assimilating the lessons. Sociology and Anthropology are exciting as well as challenging fields of scientific study. It is exciting because it is dynamic and challenging because it opens up a lot of avenues for a continuing knowledge and understanding about the world, people and events. It is about people who are engaged in daily and non-stop activity. 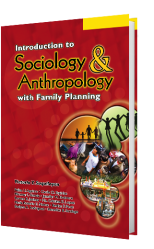 As part of this life activity, this compendium is designed to sere as an introductory material on Sociology and Anthropology. Both scientific fields. although comparatively young in the academic world have been regarded not only as beneficial but moreso, very essential in the preparatory stage of one's understanding about life and the surrounding environment. The immensity of the subject on both fields of study is given. May this compendium aid the students through their teachers as they engage themselves in this study.